- Games start the 2nd week of January (Jan. 9th & 11th). - Start times are 6:30pm - 8:30pm. - If your team already has team shirts/uniforms, email jeff@graceduapge.org and let him know. - $450 per team - ALL LEAGUE FEES ARE DUE BY JANUARY 1, 2018. Concessions are available on Thursdays, so make it a date and come enjoy a Chicago-dog! 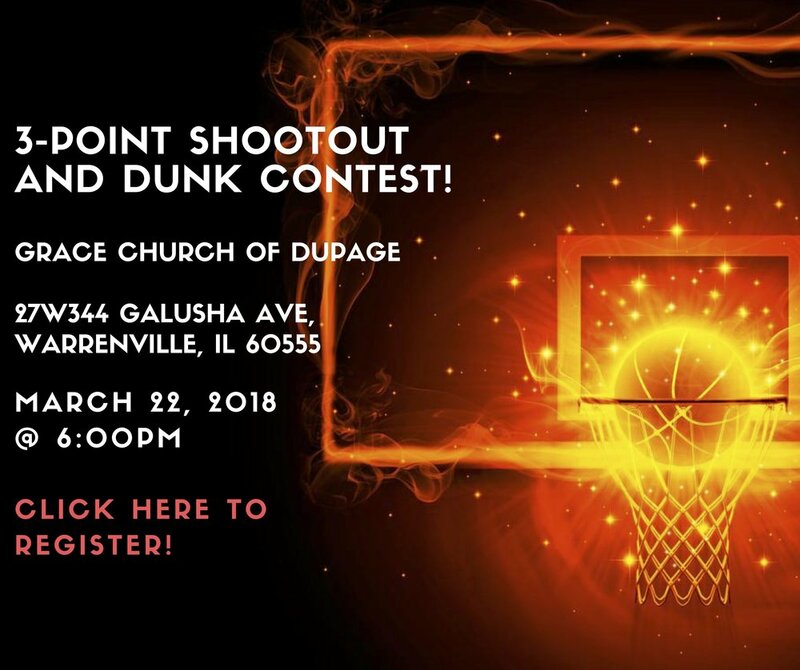 There will be a championship game complete with a 3-point competition and a dunk contest!